Energy Technologies' (ETI) has been working for the past 18 years to develop innovative and intelligent power solutions to meet a myriad of requirements and applications scenarios. This includes Intelligent Uninterruptible Power Systems (AC & DC UPS), Power Inverters, PDUs, Global Power Conditioners (Automatic Voltage & Frequency Conversion), and Power Generation(engine generators, solar panels & fuel cells). These products are available in both portable and stationary designs with or without intelligent interoperable interfaces. • Stationary Rail Support Systems to back up the electronics in terminals or monitoring stations. • Remote location UPS for Railroad signaling, lighting or monitoring. Energy Technologies, Inc (ETI) has been supporting the safety of New York City Transit with it's backup power product: ETI0001-2260A3: The NYC Transit Authority UPS System. This unit was custom designed integrating other ETI technologies. It features a non-redundant 9 kVA power rating, 3 phase input 120/208 VAC and 3 phase output at 120 VAC. This power plant was first brought online in 2005. 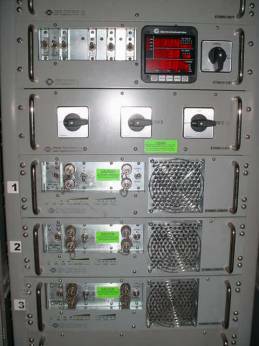 It was first tested an EMI facility and then installed in a NYC subway monitoring station by an ETI Engineer. The unit has now been brought online with new rail monitoring equipment from Railworks. ETI also produces a range of 72 VDC power products suitable for mobile locomotive mounted applications. For Example, the ETI0001-1151 UniversalPowerStation™, is a multiple output intelligent battery charger and battery conditioner with: 48 VDC, 72 VDC and 78 VDC Output and 85-270 VAC, 46-70 Hz Input. These products are available in a range of mounting options, in an equipment rack, or mounted in black boxes under seats or under carriages. (d) Back-up power for a minimum period of 90 minutes. 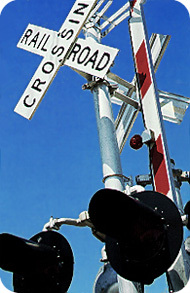 Most signaling systems are equipped with some form of backup power. A good configuration usually includes a primary power supply with an AC motor and an auxiliary motor. These two motors share the same accessory devices including mechanisms, controllers, sensors, lights, etc. The auxiliary motor has its own independent power supply. If the primary power supply fails, the auxiliary power supply will take over and move the barrier between the open and closed positions as needed without interruption of service. Problems arise when the power provided for the backup motor is inadequate. 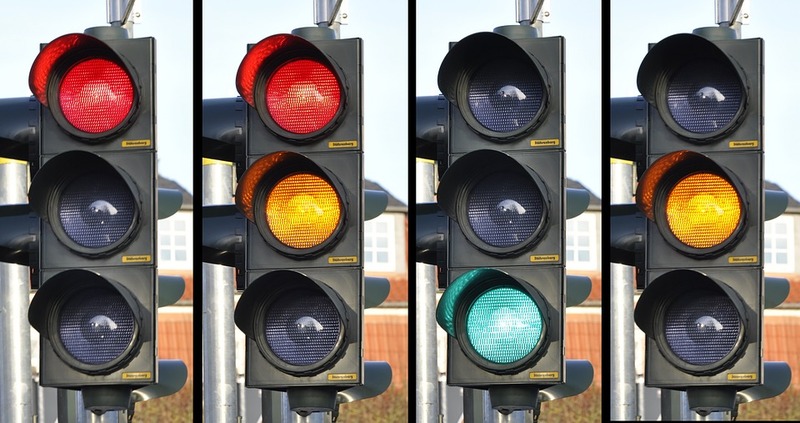 Signaling systems have been put in place using substandard UPS (uninterruptible power supplies). These powers supplies might work for very brief outages, however when the primary power is out for an extended period of time, such as a blackout or other disaster, the batteries for the backup motor may become depleted leaving signals or gates inoperable. Several shorter outages may also drain the backup motor batteries. As a result of this additional strain the batteries may not be able to recharge. ETI's UPS are designed to be rugged and weather resistant with internally isolated components to prevent these deficiencies. An example of a product in this group is the ETI0001-2275 Rugged Rack or Fixed Mount 2000 VA UPS & Frequency Converter, A 1400 Watt (1.9 Hp) Commercial/Industrial UPS with a variety of power levels available. 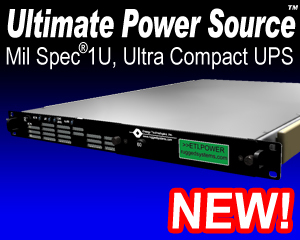 It also features reduced rack depth and a removable low cost battery module. Q: When power is out, do railroad crossing guards still operate? Doesn't an electrical signal initiate the guards' operation? A: Indeed there are battery back up systems in place. But this knowledge often times will lull one into a false sense of security. Even with back systems in place, these devices ARE NOT FAIL-SAFE. Twice in my own lengthy career, I have operated trains over public crossings at grade where the gates were INOPERATIVE. These were not out of the way crossings in the middle of nowhere, but rather one busy secondary road and a state highway. Granted, both instances were precipitated by an odd combination of events, but the point is, it CAN happen. Before crossing any tracks, whether on foot or in a vehicle, LOOK, LISTEN and LIVE. There are no second chances.